It is not enough to merely memorise all the death touch or dim mak points, you must first learn how to defend yourself properly as you may only get one shot in a life or death situation. You cannot rely merely on the knowledge of the points because if your attacker is hitting you repeatedly you will not have chance to use them. You must learn to block, strike, evade, kick, parry, duck and run as first options. 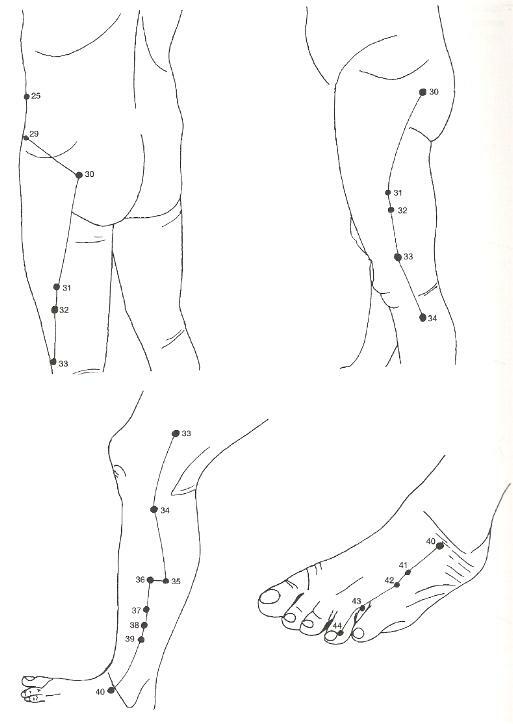 Do not take these diagrams and think you are a Dim Mak expert, there are specific set up points and recovery points in order to bring someone round who has been hit using a dim mak strike as well as a host of healing applications which I recommend you learn BEFORE practicing the martial aspect. 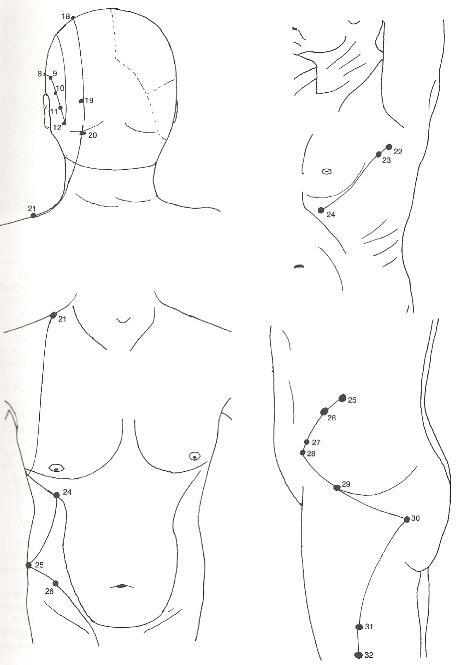 Erle Montaigue's book "The encyclopaedia of dim mak" is the source for these diagrams and this also contains extensive applications for EVERY point on every meridian, with full descriptions of not only where to strike but where to set up the strike, the healing applications of each point, the chinese name, Location, connections, direction of strike, damage and antidotes.